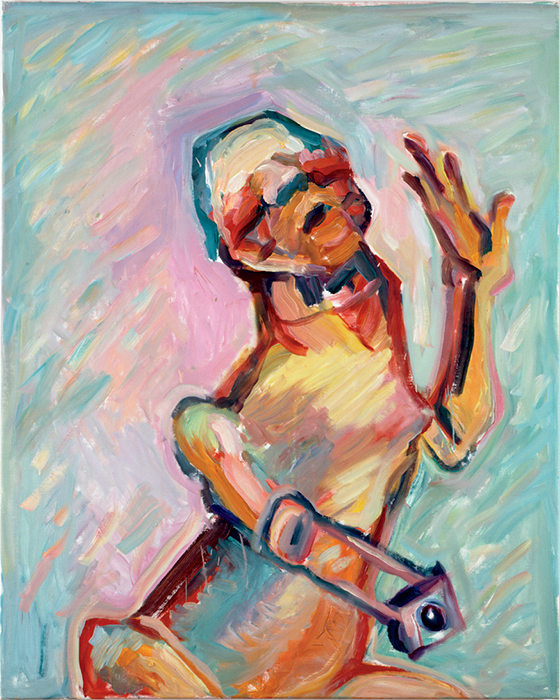 Maria Lassnig, Prothesenselbstporträt (Prosthesis Self-Portrait), 2000, oil on canvas, 49 1/2 × 39 3/8". 1 MARIA LASSNIG (MoMA PS1, NEW YORK; CURATED BY PETER ELEEY WITH JOCELYN MILLER) Lassnig meets my eye’s hunger by offering the entire banquet of “body,” rendered with expressionistic ease and candor, as if the Blue Rider had ridden straight over patriarchy and found itself in a post-apocalyptic world where virtuosity doesn’t shun the messy, the morbid, or the pugilistic. Swift, unforced lines and impossibly up-front colors limn bodies exploding with a joyful anger that elucidates rather than shatters. 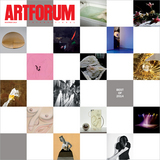 Co-organized with the Neue Galerie Graz, Austria.